Although many far better shots have been published of trains heading west out of Cleveland Union Terminal, it seems as if every photo reveals some detail not found in others. 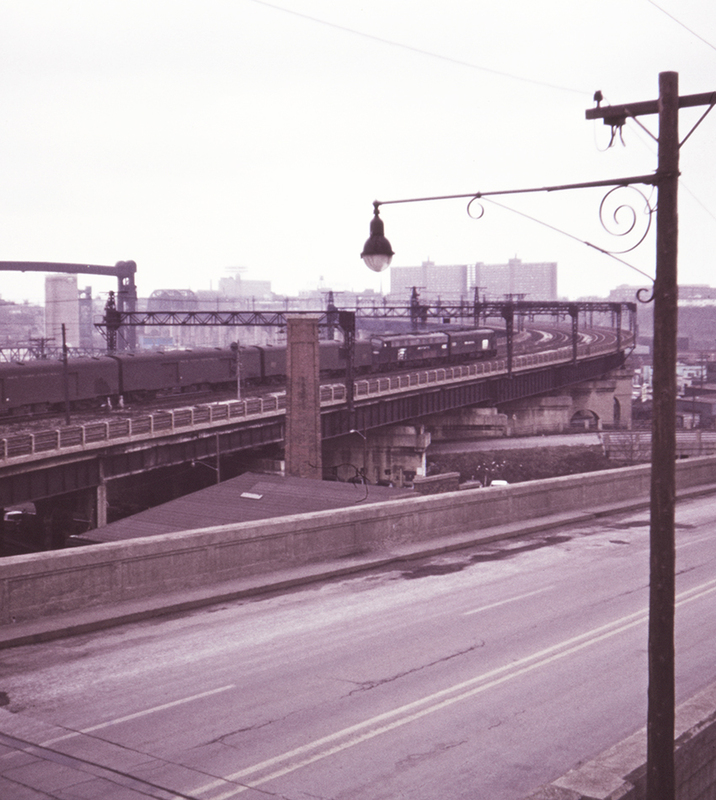 The Cleveland Flats were endlessly fascinating, such as the unidentified street in the foreground which branches off from Detroit Avenue and makes a more-than-right-angle bend as it descends into the Flats. The catenary supports served both CUT (no longer under wire by this time) and Cleveland's RTA Rapid Transit.